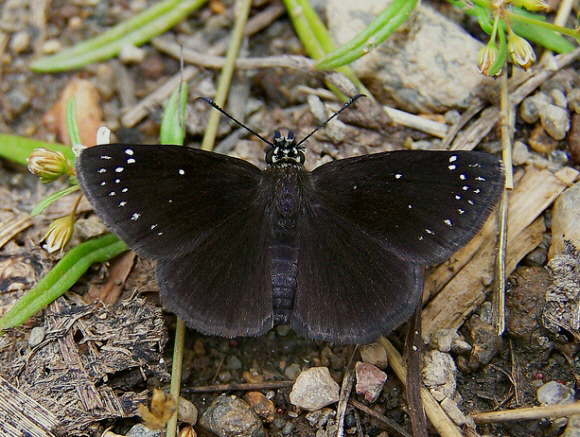 I saw what i think is this lovely dark shadow of a butterfly. It was nectaring on milkweed and daisy fleabane in my garden this morning. Couldn’t get a photo–this one is from http://www.learnaboutbutterflies.com/North%20America%20-%20Pholisora%20catullus.htm. But it’s a new butterfly for my garden, so I thought I’d share it with you. I’m pretty sure of the ID–the dark underwing and tiny white spots are right, as is the season. And its larval food is weedy plants like amaranth and lamb’s quarters, both plentiful nearby. Indian pink (Spigelia marilandica) in bloom in my garden today. I planted this last year and forgot about it, but a few days ago a glimpse of red caught my eye, and since then I’ve been checking it every day. The buds are red; the flowers open as you see here. The plant is entrancing. Indian pink is a shade plant that grows about 18″ tall and, according to all references I’ve seen, prefers soil that’s moister and richer than mine. It also doesn’t compete well with aggressive plants, and I’ve got it in a bed overrun with Canada anemone. And it’s not actually native this far north. Every once in a while you’ve just got to try a plant, even if it’s not quite right for your site. After all, many wetland plants do just fine in my bone-dry, sandy soil. I’ve been waiting for this book to come out! 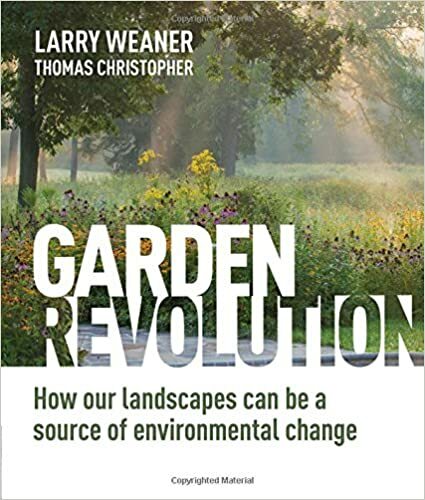 Authored by revolutionary landscape architect Larry Weaner, it does indeed deliver a gardening revolution. The authors show how everything most people think they know about gardening (pull weeds, amend soil, plant only in spring) is wrong and explains how to garden more sustainably and in accordance with nature. The book encourages gardeners to choose plants suitable for their specific site and then to let their gardens evolve naturally. And there are lots of gorgeous pictures as well. Highly recommended. We’ve been away for a short vaction in England, spent partly in London and partly hiking in The Peak district in the Midlands. The main difference between hiking in the U.S. and in Britain is that in the latter, you’re walking almost entirely on private property, even in the national parks, and the landscape is almost entirely human-created. And, of course, there’s the 4:00 tea break as well. In Britain, areas of outstanding natural beauty are set aside as national parks, but those areas are still privately owned. To maintain the character of the landscape, there are restrictions on what landowners can do. The fields you see here are primarily sheep and cattle pasture interspersed with small areas of woodland. Originally the land was entirely wooded, but the forests were cleared thousands of years ago to make way for grazing and farming. Today the farmers carry on a long tradition of sustainable husbandry, raising sheep and cows on grass. The paths, even in national parks, are public but are maintained by private effort. The British countryside is interlaced with an ancient network of footpaths, necessary rights-of-ways that country people have always relied on to get around. Stone walls and hedgerows divide fields, and stiles and gates allow free passage from one field to the next. To an American hiker, accustomed to traversing public land that is almost entirely forested, the landscape seems strange at first. And then you realize that it is both human-made and sustainable. Marvelous.